PayPal aired an advert in the UK entitled “No Presents” and it has caused quite a stir. Since its release on the 1st of November, the UK advertising watchdog has received more than 200 complaints from angry viewers. The complainants are mostly angry because the PayPal advert suggests that Santa Claus does not exist and that it “ruins Christmas” for kids. The advert shows two brothers trying to catch their parents bringing home Christmas presents. This isn’t really a clever advert in my books, but it’s not a bad sales pitch for using PayPal. Maybe they should’ve thought of airing it on television when the kids are asleep in the first place though. It’s also interesting to note that this advert was already uploaded to YouTube on the 30th of October, so there’s a chance that clever already saw the ad before it actually aired on TV. What do you think about this advert? Leave a comment and let me know. Feedback is appreciated and welcome here. 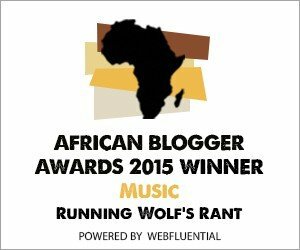 Watch this space for regular updates in the Television category on Running Wolf’s Rant. Is it time Netflix got behind niche productions like Poker? What’s coming to Netflix in April 2019? What’s Coming to Netflix in March 2019?